Yesterday I emptied our cassette toilet for the first time. I’m not sure I’ll ever be the same again. – Sort out the last bits on the house…painting, cleaning, and the get rid/pack up the last of the frankly scary amount of stuff we seem to own. – Catch up with a few peeps. – Mini appt for Anna at Kings…nothing serious…no need for alarm. – Exploring Crystal Palace Park, which I’ve always thought as a bit scrappy but is actually quite nice! – Having Sam and Sarah over…woop…thanks for coming! 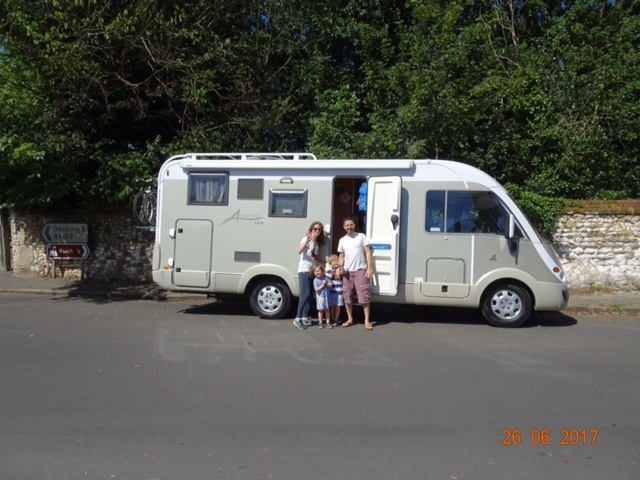 Our first van visitors…oh and thank you for Dobble!! – Living in the van during a deluge…it’s tipped for a day and half…just drying out now thank goodness. In our city spot, first time on the wedges as the kids would’ve fallen out of bed if I hadn’t. 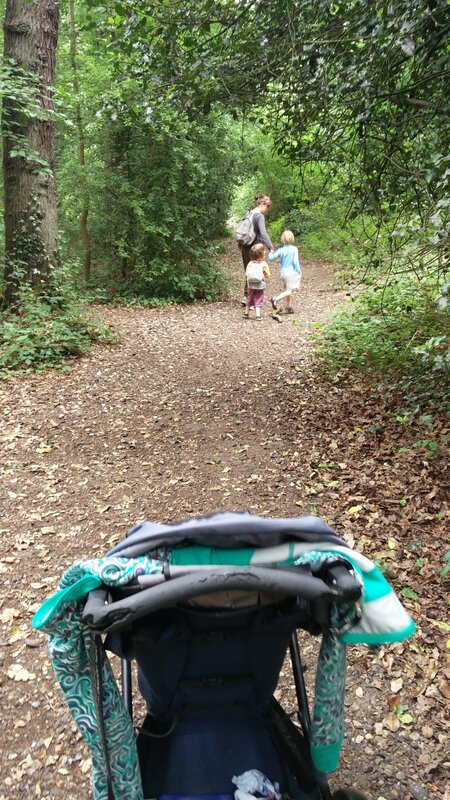 Dulwich Woods….oh Dulwich Woods. You’ve been our little bit of woodland in South London for so long…we’re only gone for a few months…try not to have flats built on your while we’re away! 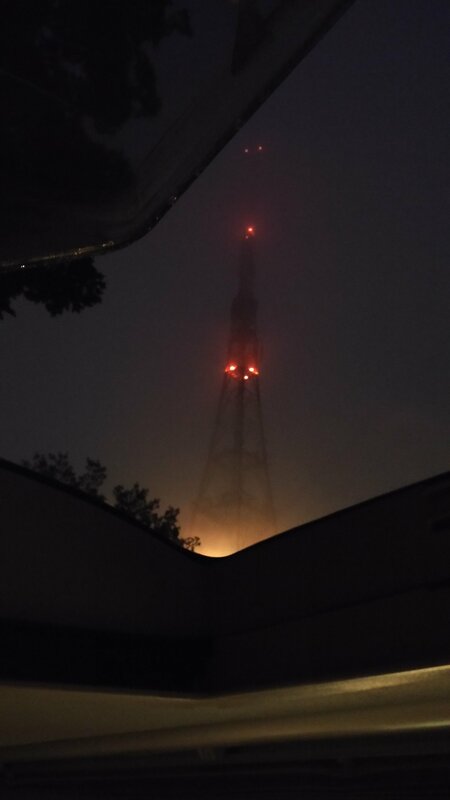 Out of the bedroom sky light hatch thing in the rain…Blade runner reboot eat your heart out. Finally after months of planning and panicking we’re off! 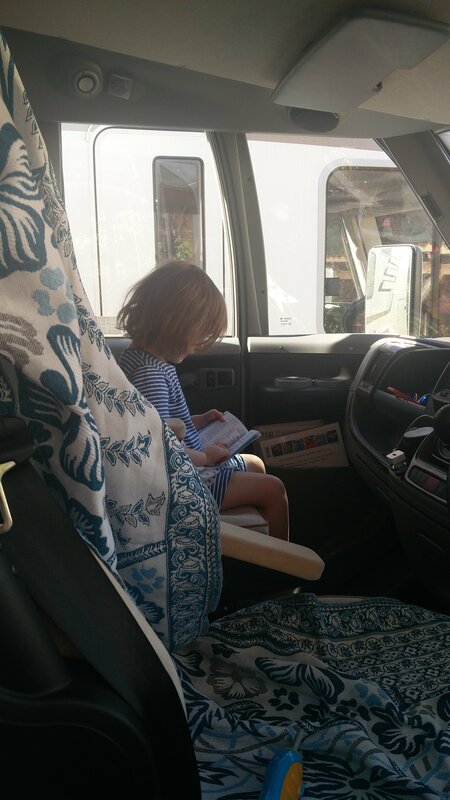 We’ve spent the last few weeks frantically packing up the house, and then the last few days frantically packing up the van. It going to be a while before we can do anything without it being at least a little bit frantic! 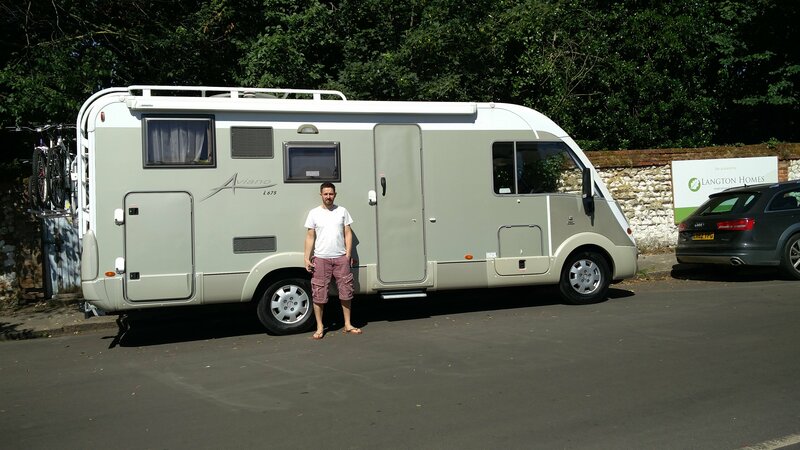 We’re really lucky to have been able to spend the weekend staying at my Mum an Dad’s to load up and pick their brains on what to actually do with a motorhome (having to be taught how to open the water filler cap is my biggest embarassment yet…but better now than after I’ve run out of water). It was also good to patch up the the bits I’ve been silently stressing about for the last month, the bike rack and the refillable lpg system (separate posts will be needed). Ready for the off, grins are more nerves than anything else. The plan for today was nice and simple, head out from Brancaster, stop in Kings Lynn for a supermarket stop and to fill up the new gas tank (nervy nervy experience!). Then onward to Essex for a place to camp before we venture back into south London tomorrow. Aaaaand, I’m pleased to say, all has gone well, we’ve made it, we’re knackered, and the kids are asleep…happy days. Also…the van didn’t blow up when I did the gas, which is good! 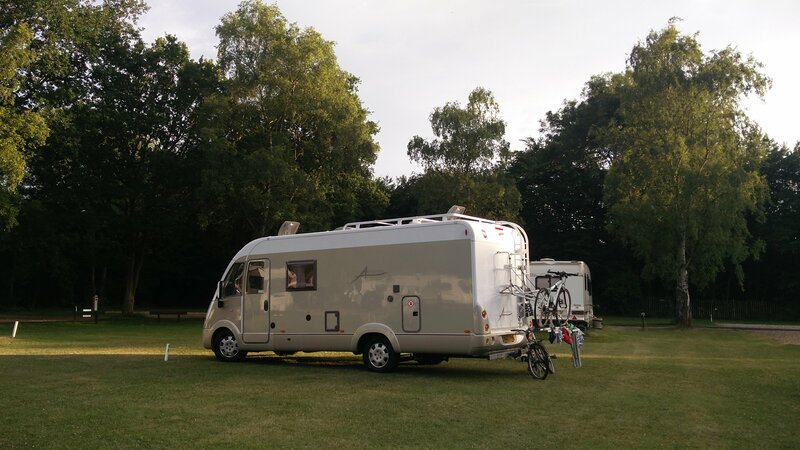 We’re currently tucked up on a campsite in Kelvedon Hatch, me with a beer and Jayne with chocolate biscuits. 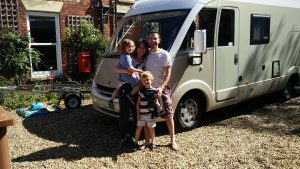 We’re a lucky family of four from London who are striking out across Europe in a motorhome for five months of exploring. 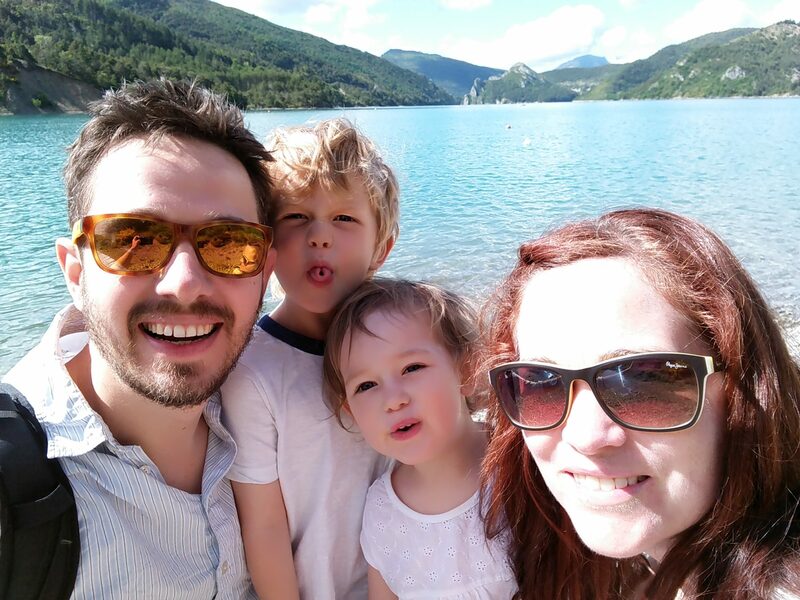 We didn’t really plan to do a blog but did want to keep a record of where we visit and what we see to look back on, and since so many people asked us to send pictures and updates…here we are! 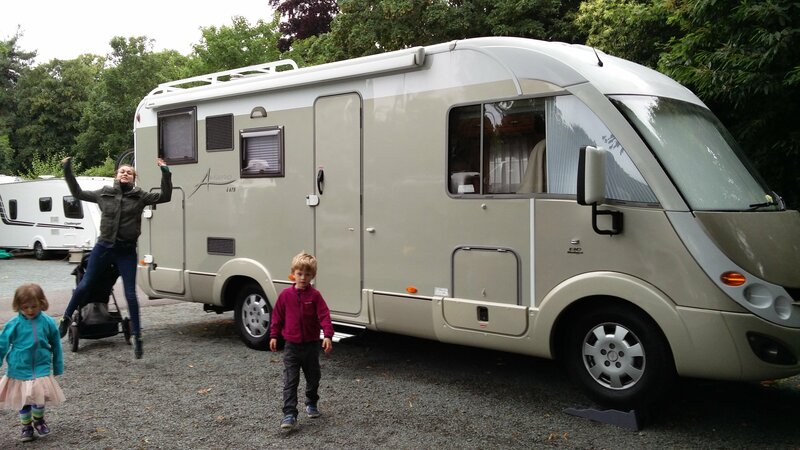 We’re just sorting ourselves out for the big off in a few days time, fixing bike racks, sorting out gas cylinders and most of all trying to work out what of the mountains of stuff we’ve earmarked to take we can actually fit in the van. 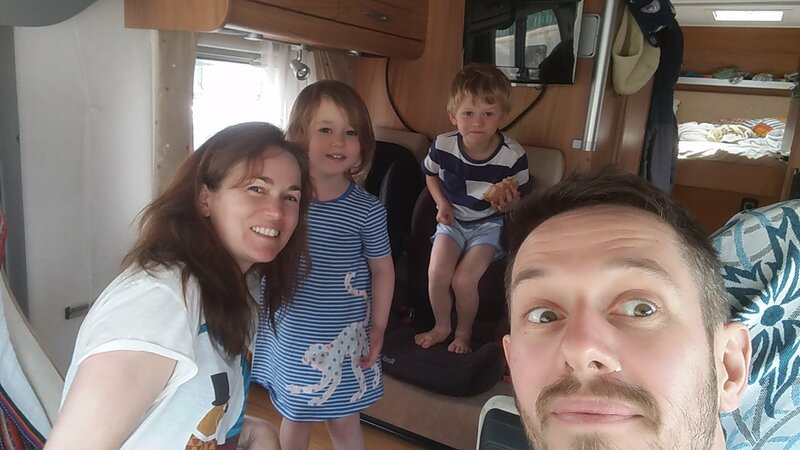 I’ll do a post soon about the four of us and something on the van, for the moment I am mostly geeking out about wordpress (I’m supposed to be leaving screens behind for six months!!! ).